Everyone wants to keep their Honda running as long as possible, and using genuine OEM parts in routine maintenance and repairs is one way to help that happen. Genuine OEM parts are superior to aftermarket parts in that they were designed specifically to fit your make and model, while aftermarket parts are made to fit as many vehicles as possible. Rather than guessing whether aftermarket parts will work out, get things done right the first time with our Honda OEM parts. 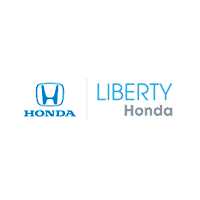 At the Liberty Honda parts department, we have a variety of wiper blades, brake replacements, and more for sale, and we are always more than happy to order a part for you if we don’t already have it in stock. Whether you need a part for a DIY project or for a service being done at our service center, you can find your Honda express parts here. Contact us today and visit our parts specials page for additional savings.